Are you seeing the results you want from your Twitter activities? There are over 1,000,000 different apps for Twitter and a new one is added every second. This means it is often quite easy to get confused finding those that actually add real value to your day-to-day tweeting. I took a look at some of the latest and most promising Twitter tools to get you tweeting like a pro. So, if you think it is time to up your game with some new tools, keep reading. 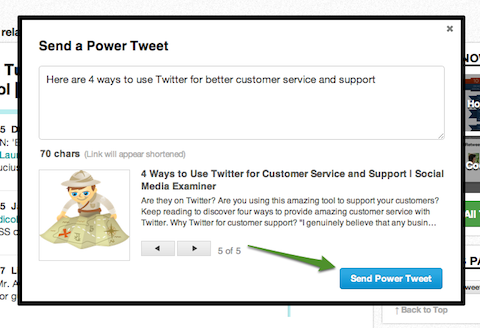 Here are 5 tools to help you power up your Twitter marketing efforts. 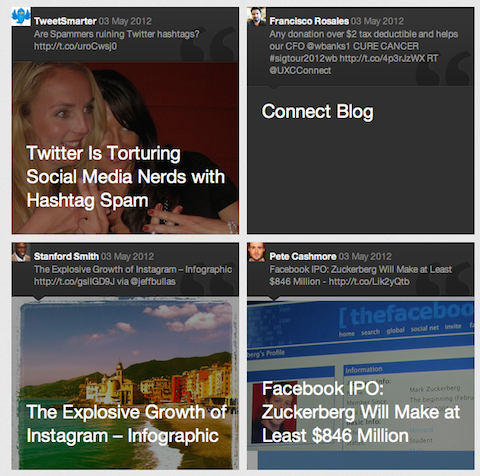 One of the tools that can make a huge difference to your impact on Twitter is Twylah. Their tagline is “Make Your Tweets Shine” and that is exactly what it does. According to research by bit.ly, your links on Twitter will only last 3 hours. With Twylah, however, you can give your tweets a much longer life—literally forever—displayed beautifully on a custom page. A beautiful fan page for your tweets. The way it works is very simple. After you set up your own Twylah account, this tool will capture, save and display each of your tweets on your personalized Twylah page. Before Twylah, when you glanced over someone’s Twitter stream, you didn’t pick up any great insights about the person. But when you glance over someone’s Twylah page, you get a very good picture of what his or her business or personal Twitter page is all about. Now, you can even click into each individual tweet on any page. Each of these is surrounded by lots of other relevant and related tweets. Keep visitors engaged longer with your tweets. A feature that is unique to Twylah is the Power Tweet. If you find a link, instead of sending people to that article, you can send them to a designated Twylah page. Send a Power Tweet to show other related tweets. If you want to give more strength to your tweets, be sure to get on the invite list for Twylah. It has had a tremendous impact for me. A great app I discovered recently is NewsMix. It solves a crucial problem I have with Twitter. If you are new to Twitter, there isn’t much value in your stream yet. Imagine if there was a channel available for you, filled with great curators tweeting exactly about the topics you are interested in. That’s exactly what NewsMix does. 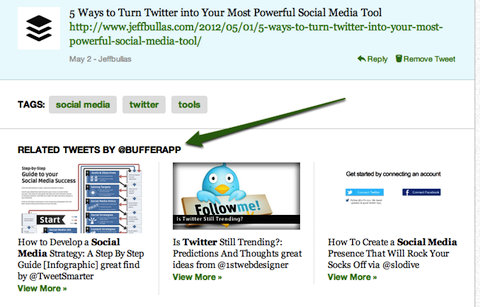 It helps you discover great topics based on top influencers for any topic you are interested in. Choose a channel to follow or create your own. 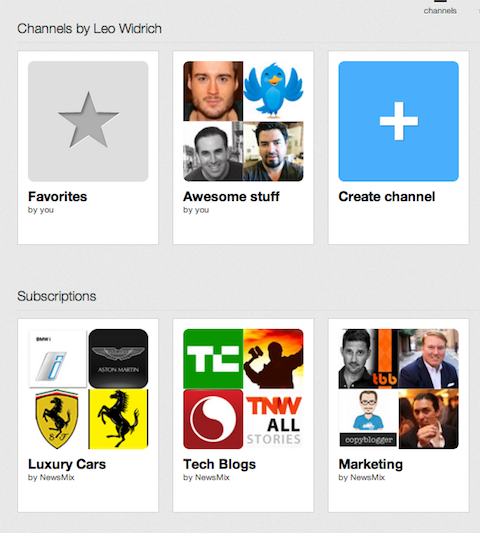 You can easily create “channels” to follow on a Flipboard-style interface. 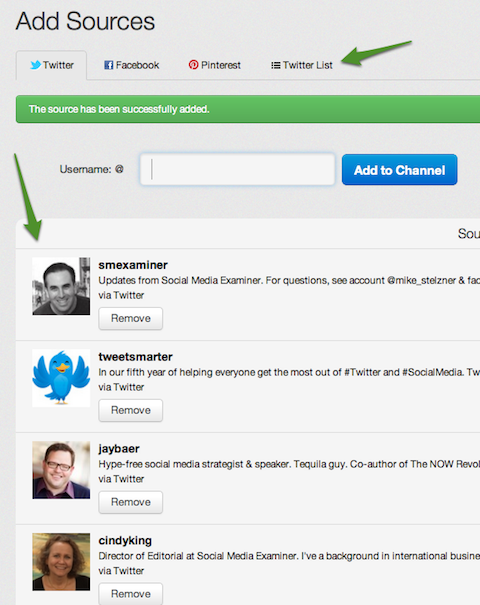 Your channels can either be made of individual Twitter users you put together, or even whole Twitter lists. Make a collection of top experts in your niche. Follow your subscriptions (like on Flipboard) on your browser or iPad. SocialBro is an app that fits well into everyone’s toolbox. It is a dashboard designed to filter in the absolute best analytics for your Twitter account in an easily accessible way. With Twitter, the quote “You can’t improve what you can’t measure” hits the nail on the head. Find out in which time zones your followers live. In my case, what I discovered with SocialBro was that over 13% of my followers are in the UK, and I was only posting for US time zones. I quickly changed and moved some of my updates to reach the people in the UK as well. 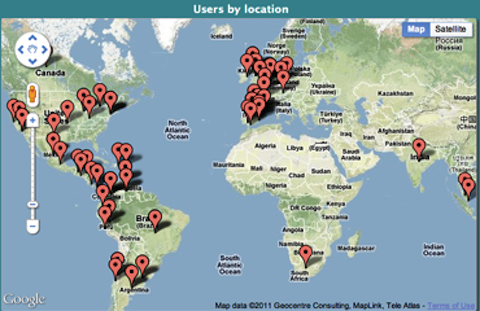 You can go even deeper and localize exactly where each of your followers lives on a map. 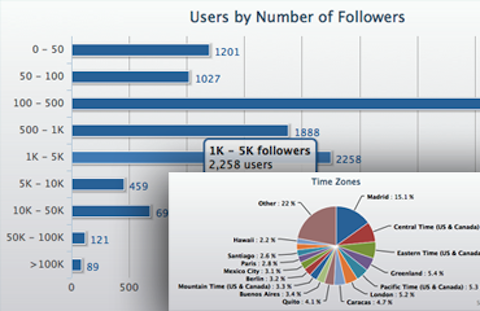 Get the exact location of all of your followers. 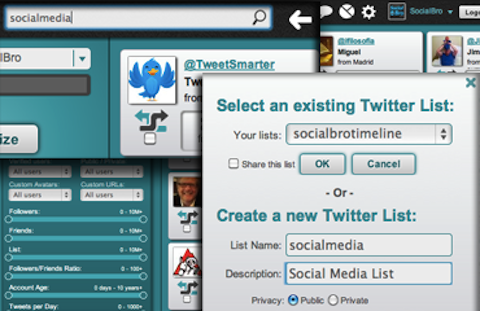 The final feature I want to highlight from SocialBro is their list-management option. A key to make Twitter work, especially as you grow your network, is to keep track of the most important people via Twitter lists. SocialBro makes it much easier for you to copy lists from one account to another, save lists as a .txt file or specifically move larger groups of people into new lists. 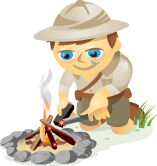 Easy list management with SocialBro. An app that can help you automate your social activities in a very powerful way is Ifttt, meaning “if this then that.” In short, it allows you to connect any two web services together, like Facebook with Instagram or Twitter with Dropbox. 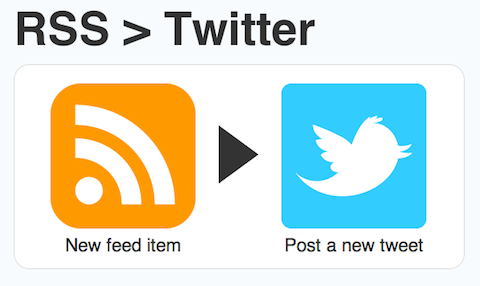 The different ways you can use Ifttt in connection with Twitter are extremely powerful. By simply sending a tweet, you can trigger a large number of different actions for your other social accounts across the web. 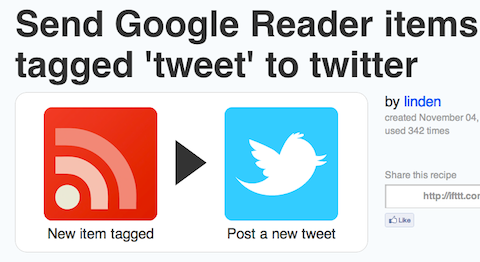 From Google Reader straight to Twitter. Upload a new image and post it immediately on Twitter. Not enough time to read? Save to Pocket for reading later. 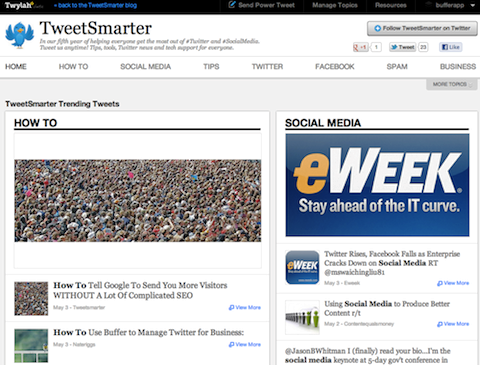 Easily publish your blog posts on Twitter. 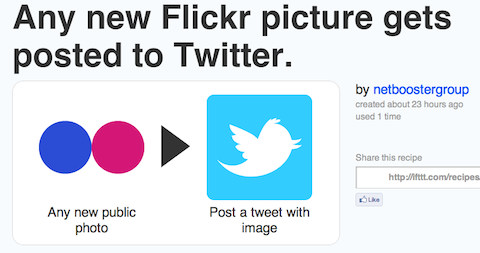 This is of course only to give you a taste of some of the things you can accomplish with Ifttt and Twitter. There are lots of other connections and channels you can explore for your Twitter account. Above all things, this tool is amazing to discover your own creative ways of using the Internet and Twitter that no one else has done before. 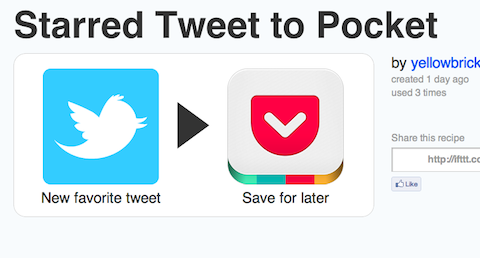 The last tool I want to introduce you to is called Tweriod. This has a very powerful algorithm to analyze your Twitter account and then find out which times will have the most impact for you to tweet. All you have to do is sign in with your Twitter account. The app then prepares a report for you and after a few minutes it sends you a direct message on Twitter with the results. It gives you a detailed breakdown of the most likely days and hours when your followers will be online. Times when your followers are online the most. Once you have your best times to tweet, you will also get a graph like the one below. 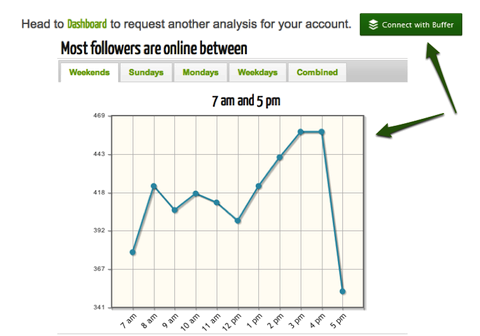 A recent integration with Buffer allows you to start tweeting at these optimal times through your Buffer account. See your optimal tweeting times in a graph and set them inside Buffer. Tweriod’s algorithm analyzes the performance of your own previous 200 tweets, your followers and the performance of their past tweets and excludes automation apps such as Twitterfeed, dlvr.it, etc. This provides you with the data you need most. Equipped with these 5 power tools I am sure you will be able to up your game on Twitter considerably. What do you think? Which other tools do you use to make Twitter work for you? Which one of the tools mentioned above might be a great fit for your workflow? Please share your comments in the box below.